The Spanish Court of Auditors has ordered the seizure of the house of former head of the Catalan Government Artur Mas in Barcelona. Artur Mas, the former head of the Spanish region of Catalonia, was barred by a Spanish court on Monday from public office for two years over holding an independence vote in 2014, local media reported. Thousands of people participated in demonstation in Barcelona amid trial of former premier of Catalonia and his two top aides, accused of giving a go-ahead to the Catalonia's independence referendum despite a ban by the Spanish Constitutional Court. Spanish politics has been plunged into more uncertainty with Catalonian lawmakers electing a new president and outlining plans for independence within 18 months. The development is sure to complicate things further as the major parties try to put an end to the current stalemate. Artur Mas, the acting head of Catalonia's government, said that he would not stand as a candidate for Catalan prime minister. Catalan President Artur Mas said Tuesday he was ready to call snap elections after he failed to form the new government over disagreements between the pro-independence parties over who will be the new government's leader. The radical left-wing Popular Unity Candidacy (CUP) party seeking Catalonia's independence from Spain decided on Sunday not to support the regional government led by acting head Artur Mas, local media reported. 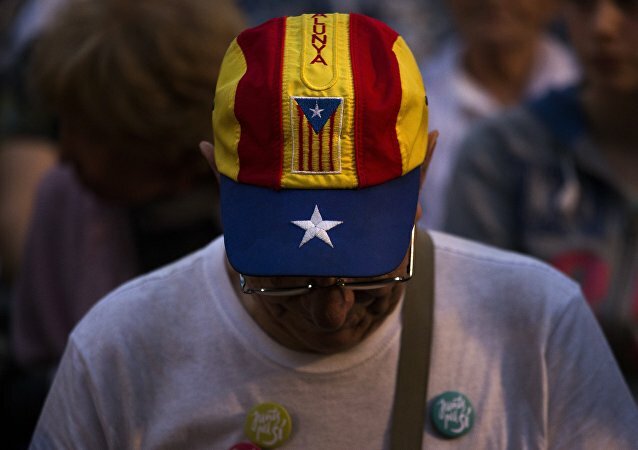 The pro-independence Catalan Junts pel Si (Together for Yes) coalition and the radical left-wing Popular Unity Candidacy (CUP) concluded a preliminary deal to form a secessionist government, local media reported Tuesday. Leaders of the Catalan government planning to form an independent state have said the drive to breakaway will continue despite the Spanish Constitutional Court ordering the region to halt proceedings this week. 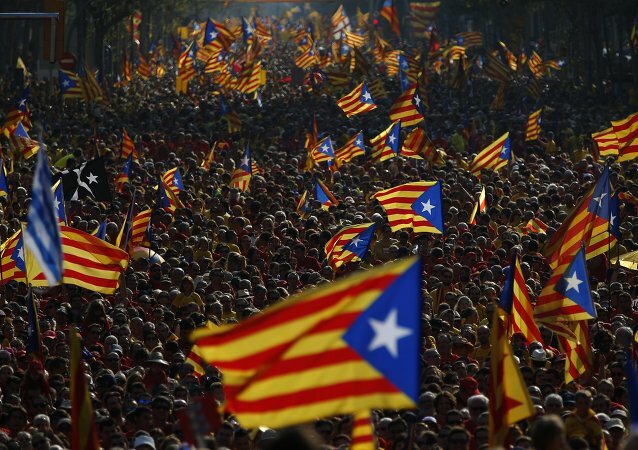 However, political experts are skeptical that Catalan President Artur Mas has the right to do so, Sputnik has been told. Spain’s Minister of Justice Rafael Catala said acting chairman of the Catalonian government, Artur Mas, will be treated "the same way as any other citizen who tries to the break rules and, of course, coercive measures that function in a law-based state will be taken." On Thursday, Mas appeared before the Catalonia’s high court to answer accusations of civil disobedience and abuse of power by organizing the unofficial November 9 vote, in which 80 percent of participants supported seceding from Spain. Catalan President Artur Mas said that the local elections of September 27 became a democratic guarantee of last year’s November 9 informal referendum on Catalonia's independence. Catalan Vice President Neus Munte said that he strongly believes that Catalonia’s president Artur Mas did not do anything illegal by organising the November 2014 non-binding referendum on Catalan sovereignty. 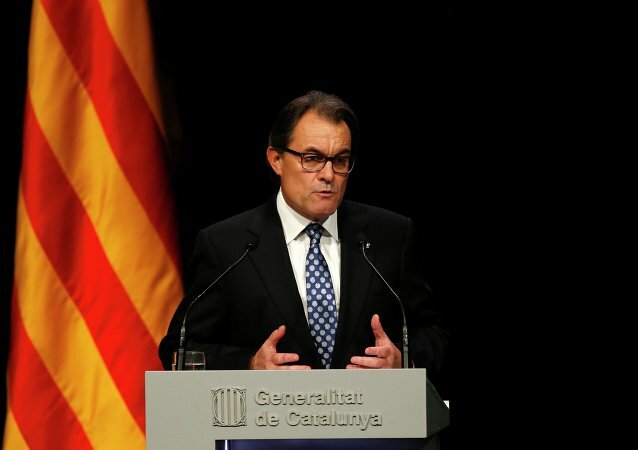 Catalan President Artur Mas said that the pro-independence Junts pel Si (Together for Yes) coalition and their allies from the radical left-wing Popular Unity Candidacy (CUP) party will use a road map, which will lead Catalonia to independence. 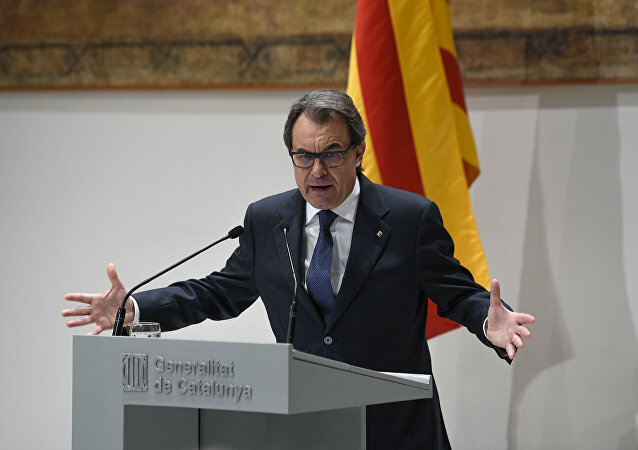 Popular Party’s spokesman said that the Spanish government believes that the results of the Catalan elections demonstrate the "failure of the secessionist strategy" of Catalan President Artur Mas. 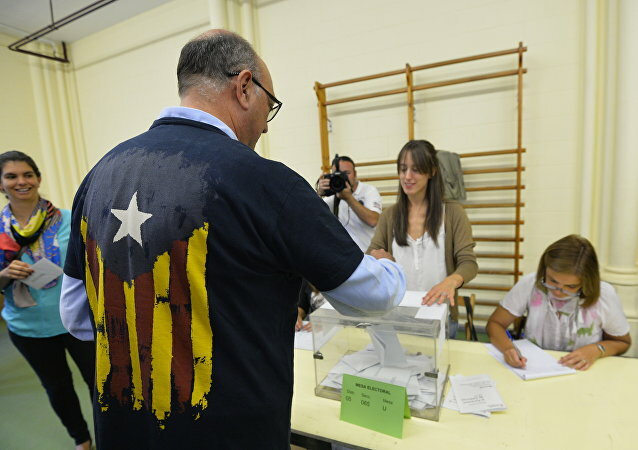 The Junts pel Si (Together for Yes) coalition promoted by Catalan President Artur Mas secured 64 seats out of 135 in the regional parliament, according to the exit poll data. Catalonia is set to vote in regional elections on Sunday, in what has been described as a virtual independence referendum. It could also challenge Spain as well as Europe itself as a new state could be the first territory to leave the European Union. A vote on the potential break-up of one of Europe's oldest countries is to take place on Sunday 27 September, when Catalonia holds its regional elections. Nationalist leaders are pledging to set up an independent Catalan state within 18 months if they win a majority in Barcelona's parliament. 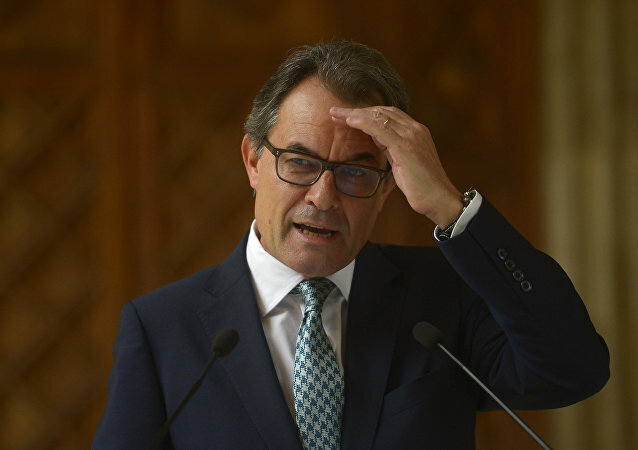 Catalan President Artur Mas signed on Monday a decree for regional elections on September 27.